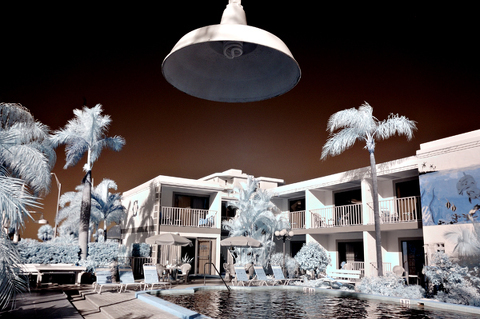 Lonely Planet 2 is an image I made on a recent trip to Florida. It is currently on exhibition in the Toledo Area Artists Exhibition at the Toledo Museum of Art. 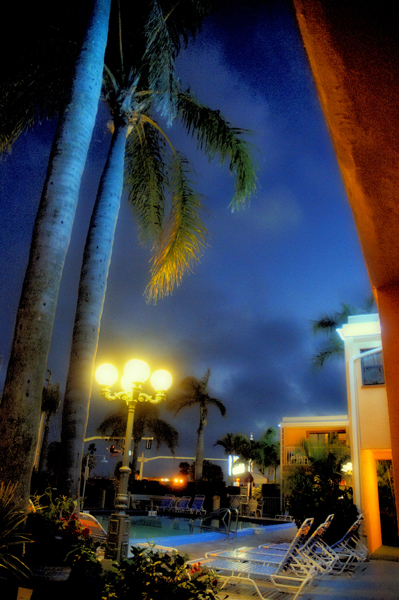 This image was taken at the Satellite Motel a funky Old Florida style place on Treasure Island. I spent the day finding and photographing old haunts I remembered from childhood vacations I had there. 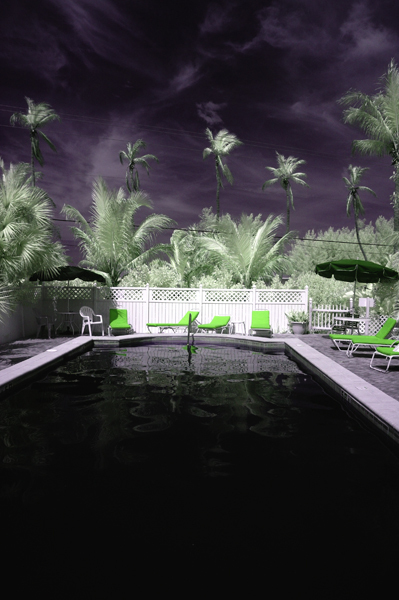 That night I made some color images of our pool and some of the retro signage from our hotel and the one nearby. Treasure Island is definitely a fine art photographer’s dream if you love old motels and funky 50’s stuff. I also included a few more of my favorite images from this trip. 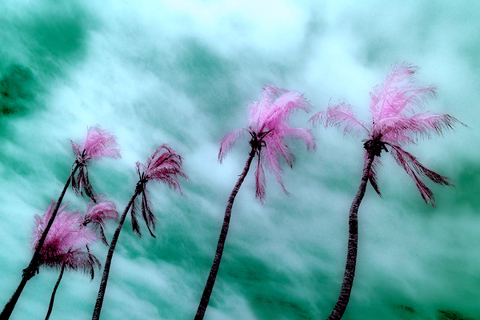 The palm tree scenes were taken at the Edison and Ford Winter Estates in Fort Myers Florida and at our beachside motel on Sanibel Island. Beautiful Mary! Did you have a digital camera converted or are these film? Hi Terry! Yes, I converted my Nikon D70 a year or so ago. I’ve been shooting in custom white balance and then playing with color in CS4. Its a riot and I can play with the colors to work with the subject matter. The color work was created with a D300. I hope you’re doing well! I really like these Mary….very different from anything I have seen lately! Thanks Julie, do you have any wall space left? Christmas is coming.